When is comes to dumpster rental in LeClaire, Iowa, Dumpster Rental Quad Cities has made the process as easy as ordering a pizza. Just like a pizza, you’ll need to know which size you want, when you want it, and where it needs to be delivered. While no analogy is perfect, we might want to know what you’ll be putting in our roll off container and you can’t get extra sausage or green olives on your roll off container, but it’s still pretty easy to get a dumpster delivered to LeClaire, Iowa. What will you be putting in your rented container? What size dumpster are you wanting to rent? When do you want your equipment delivered? Where do you want to dumpster placed once it arrives in LeClaire? Safely filling your waste container and what to do once you’re finished? Some ideas on selecting the best local waste management company in LeClaire, Iowa. What Type Of Waste Materials Can Be Placed In roll Off Containers In LeClaire, Iowa 52753? Appliances, refrigerators, freezers, hot water heaters, stoves. So waste disposal companies can not accept the above items as they are can’t be disposed of at local landfills, but some materials that can be landfilled, can not be placed in large dumpsters in significant quantities. Dirt, concrete, asphalt shingles, cinder block, and plastering are just some of the waste materials that can overload our 20 or 30 cubic yard dumpsters. When disposing of these dense materials in significant volumes, the waste generator should use our smaller 10 yard dumpsters. And if you’re loading clean concrete, you can recycle and save yourself some money. And now some good news- If you’re needing to dispose of large quantities of bulky waste, couches, chairs, etc, you can save some money by renting a 30 yard dumpster. This is a inexpensive per/yard bin that holds lots of bulky waste, so if you’re cleaning a hoarder home, this is your best bet. Junk removal in LeClaire is also an option for those who don’t have the amount of junk to justify the cost of a full size metal trash bin. We’ll get into the details on this junk removal service in greater detail later. Landrum Disposal Has Several Dumpster Sizes To Choose from In LeClaire- What Dumpster Size Is Right For Your Job? 6 yard mini bin is ordered by homeowners for spring and fall clean ups. This is the right size for bathroom remodels and small junk clean outs. Roofers use this bin for asphalt shingle tear-off up to 12 squares. 10 yard waste bin is also used for residential clean outs to rid basements, garages, back yards from clutter and unwanted junk. Roofing shingles up to 20 squares of single layer can be used to fill this size. 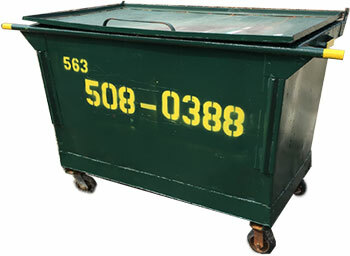 This size bin is also popular for concrete recycling or the containment and transportation of heavy waste debris. The 20 yard roll off is our most popular size with both homeowners in LeClaire and homebuilders. This is a 20 foot long dumpster with sides that allow for the loading and viewing of waste. This container can hold up to 40 squares of single layer asphalt shingle tear-off. 30 yard roll off contains is a favorite of commercial builders, industrial locations, commercial business, etc. This size is ideal for large volumes of bulky waste and light construction waste. Not enough waste to justify renting a dumpster. Not interested in loading their own junk, debris, waste materials. No space in driveway or on property for a large metal bin. Worries about neighbors and others loading the bin that you paid for. worries about neighbors or other rifling through your personal belongings once they’ve been placed in a rented roll off. So the choice is your’s, 6, 10, 20, 30 yard roll offs or junk removal. How Soon Do You Need A Roll Off Container in LeClaire, Ia? You might want to order your roll off container a few days before you need it to ensure the right size dumpster is available for your LeClaire, Iowa project when you need it. Furthermore, you might want to have it delivered a day before you plan on starting to fill it. For example, if you’re planning on filling your waste bin on Tuesday, you might want it to be delivered on a Monday. we can promise a specific day for equipment delivery, but we can not guarantee an exact time of day as we have several deliveries to make every day. 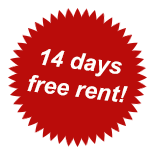 Of course, you don’t want equipment sitting idle for extended periods of time as you’ll be incurring a daily rental charge, but getting a delivery a day early might break the bank. Now for junk removal in LeClaire, there is no delivery- We just arrive at an agreed time and load your waste, drive to the landfill, and dispose of your junk. What To Do Once Your Dumpster arrives In LeClaire, Iowa? Once your rented dumpster arrives in LeClaire, Iowa, you’ll need to have an idea of where you want it placed. Roll off delivery trucks are about 34’ in length and require an additional 15’ to maneuver the 20’ bin into its resting place-So you’ll need an hard level area with plenty of access. The dumpster placement area should be free from overhead obstructions such as electrical/cable wires, tree branches, home or garage overhangs, etc. And in addition to the dumpster rental company’s requirements, the dumpster area must be good for you-The person who will be loading the debris. The container area should be easily accessible for the customer, so if the waste is in the back yard, the alley might be the ideal location. If there is no alley or the waste is in the front yard, the driveway or street(where local ordinances allow) might be the right area to spot the bin. Our drivers are quite experienced and can be quite helpful when it comes to finding a safe spot for the waste equipment. Don’t forget the importance of safety with respect to waste management and the loading of debris. Safety equipment such as eyewear, high visibility clothing, steel toe boots, gloves, long sleeves, respirators, etc should all be considered when planning your project. When using motorized or heavy equipment to load your rented dumpster in LeClaire, always be aware of your surroundings and people on the job site. Also be careful of wires, overhangs and the obstructions when loading/lifting buckets and waste. And when you’re finished safely loading your big metal trash bin, just rememberer to call your local trash company to schedule a final pick up. Selecting A Local Waste Management Company- How To Find A Reliable Dumpster Rental Company In LeClaire, Iowa? 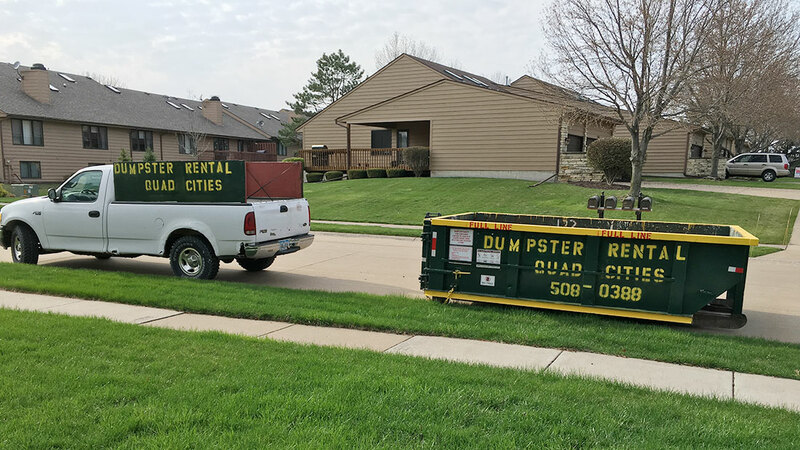 When it comes to selecting the right dumpster rental company in LeClaire, Iowa, Dumpster Rental Quad Cities can point you in the right direction. You’ll want to ask some friends, neighbors, or the folks at the LeClaire Chamber of Commerce about their experiences with local trash collection companies. That will provide you with some relatively unbiased information on which you can make some decisions or at least start the process of calling potential local garbage collection companies. If you have no friends, you might want to refer to the local telephone directory if you can find it. Telephone directories can be found in the attic, the front porch, or maybe in a trash bin as they’re no longer used by the majority of folks. But if you can find one, dust it off and look under “garbage collection” for a local waste hauling company. What dumpster sizes do you have available in LeClaire, Iowa? 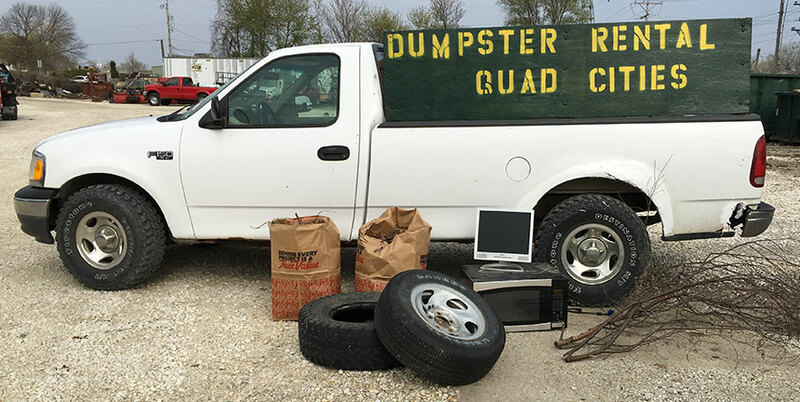 And if the waste management company can’t provide you with an instant free dumpster rental quote for LeClaire, Iowa, you should look elsewhere for waste removal service.